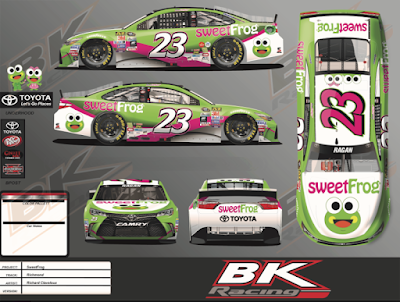 BK Racing announced that sweetFrog premium frozen yogurt has returned to sponsor David Ragan and the No. 23 sweetFrog Toyota Camry for the Federated Auto Parts 400 at Richmond International Raceway. 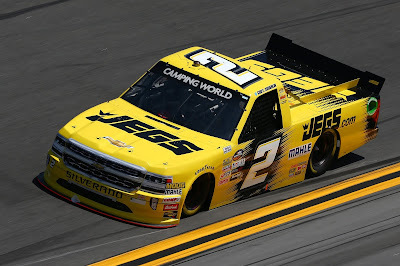 Earlier this season sweetFrog made their NASCAR debut with BK Racing and Ragan at Richmond. sweetFrog is a chain of self-serve premium frozen yogurt retail stores where you select the flavors and toppings of your choice. The frozen yogurt chain was started in Richmond, Virginia in 2009. sweetFrog currently has over 340 stores in 25 states, and international locations in the United Kingdom and the Dominican Republic. "I am excited to have sweetFrog back on our Toyota for Richmond," said Ragan. 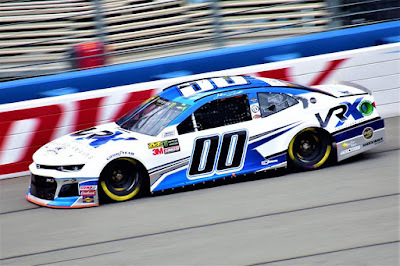 "We had so many compliments on the car back in April and this car is really going to stand out under the lights. What I'm really looking forward to about Richmond is the chance to visit the local sweetFrog store and meet some fans and eat some yogurt. I hope to see many of our BK Racing fans there on Friday night." 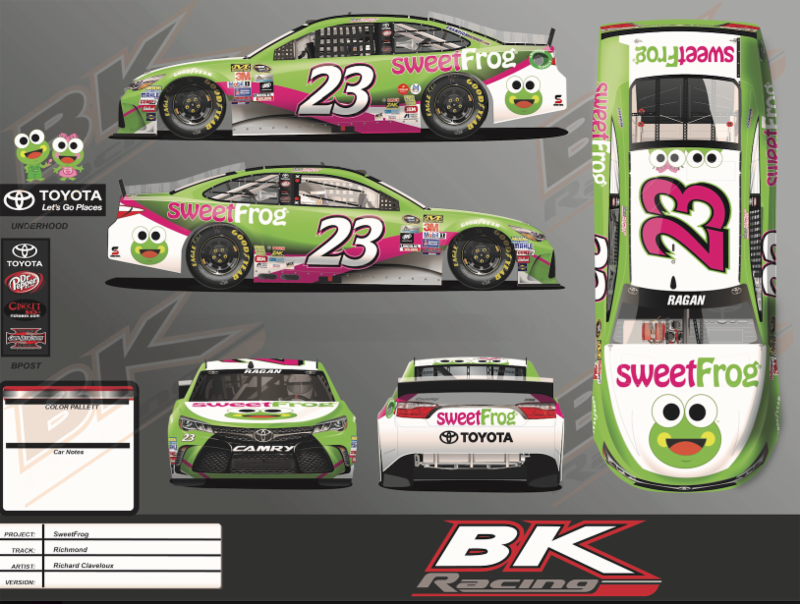 "Our entire team had a great time with sweetFrog back in April, we are excited to welcome them back for another race with David Ragan," said Doug Fritz, CMO of BK Racing." "We are proud to be a part of the BK Racing team again in Richmond," said Patrick Galleher, sweetFrog CEO. "David is the perfect person to represent the sweetFrog brand and we are excited to watch the No.23 team race under the lights at our home track."